The beach is our summer happy place. It is where we go when we don't know what else to do, where we go on playdates with friends, where we walk when we need to get out energy and most importantly where we eat ice cream. It has felt like we haven't spent as much time there this year with holidays, festivals and moving house changing our usual August plans. I am not ready to pack away our beach gear yet and I am hoping we get some September sunshine so that the smaller two and I can enjoy the deserted sands whilst the bigger two are at school. 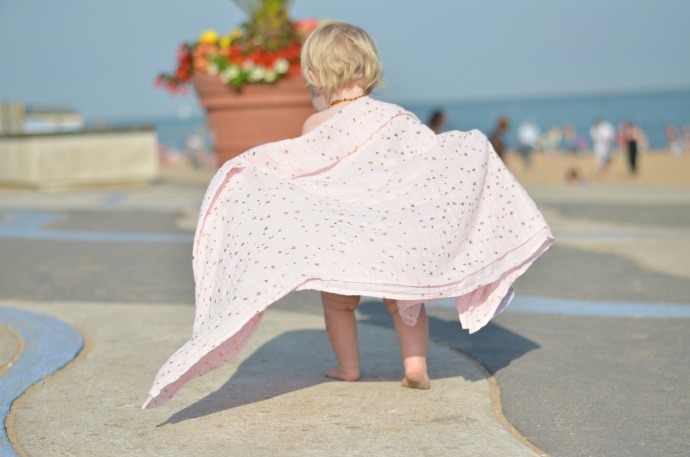 Cora was sent some goodies from aden+ anais and the swaddle blankets have become a summer staple. This one is part of a pack of three and I always have one in my changing bag for impromptu trips out. 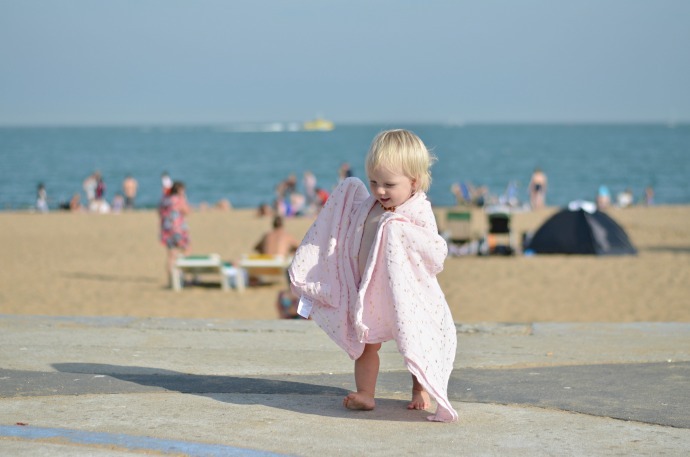 We use it as a summer blanket, to sit on and most often as a little towel to cover shoulders and dry sandy toes. I fold it in half and it wraps perfectly around Cora's shoulders and she prances around happily in it. The delicate pinks and white are certainly not what I would have bought before she was born, but we love light colours on the hot days and the little gold details make them look so pretty. Cora was sent a little nappy cover too in white and gold with sweet little ruffles on the bum. I think this would look much better over a disposable nappy as it looks much prettier and is perfect under summer dresses or as beach wear on its own. It didn't sit quite right over her cloth nappy as it is quite big already. 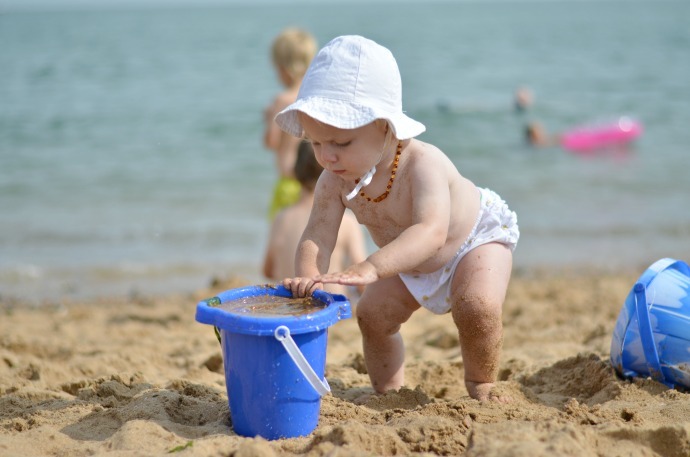 Our summer days seem to be numbered now and the sunshine is broken up with bouts of rain and colder winds, but we are holding out hope that there are more beach days to come over the next month. And despite Cora now being 14 months (how did that happen?) 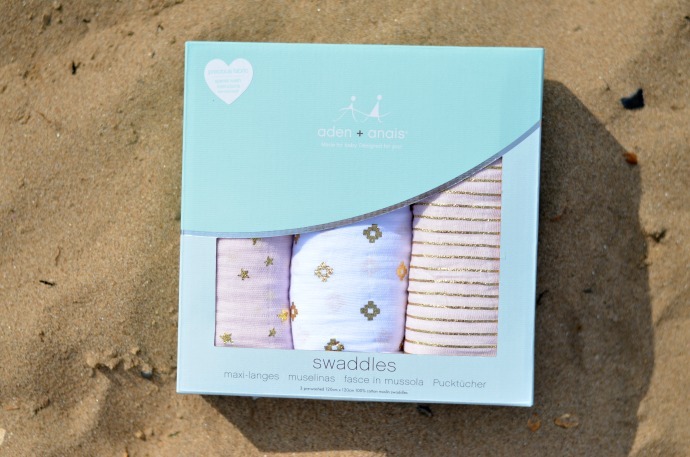 we certainly won't be packing our aden + anais swaddle blankets away yet.